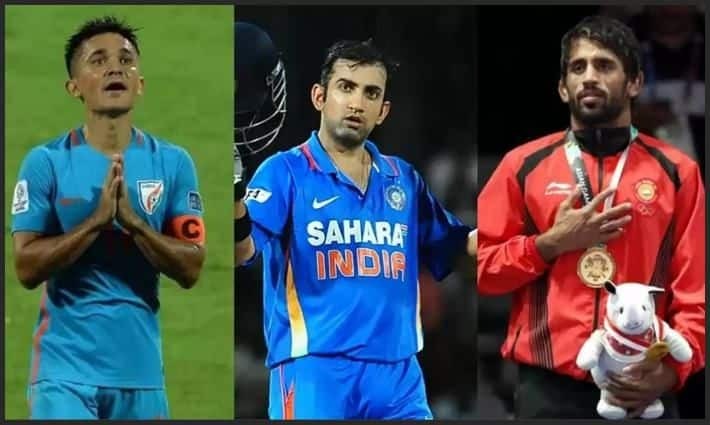 Veteran cricketer Gautam Gambhir, Indian football captain Sunil Chhetri and star wrestler Bajrang Punia were among the recipients for the Padma Shri awards. Veteran cricketer Gautam Gambhir, Indian football captain Sunil Chhetri and star wrestler Bajrang Punia were among the recipients for the Padma Shri awards announced on the eve of the Republic Day on Friday. Veteran women mountaineer Bachendri Pal was honoured with the Padma Bhushan, the second highest cilivian award. Others sports person to recieve the Padma Shree are: Harika Dronavalli (Chess), Prashanti Singh (Basketball), Shartha Kamal (Table Tennis), Bombayla Devi Laishram (Archery), Ajay Thakur (Kabaddi).